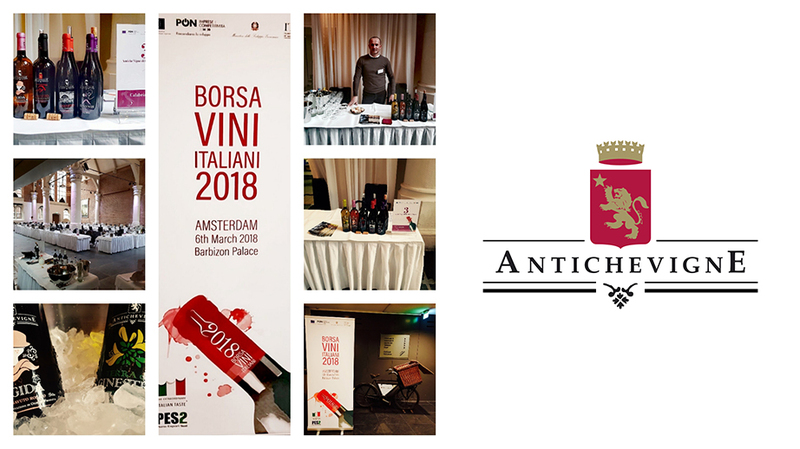 Marzo 2018 – Borsa vini italiani -amsterdam The edition of Borsa Vini Italiani 2018 on March 6th. in Amsterdam will see us as protagonists at the table N°3. 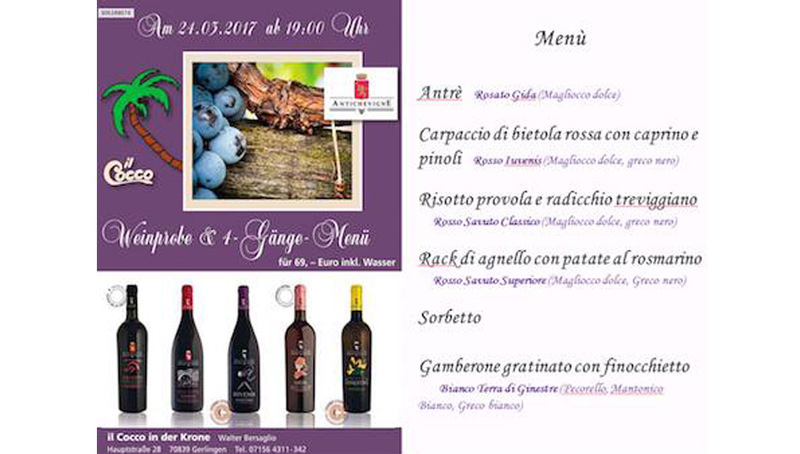 The owner Gianfranco Pironti will be pleased to welcome you and let you taste the wines. Contact us for more information : annalisapironti@antichevigne.com We wait for you! 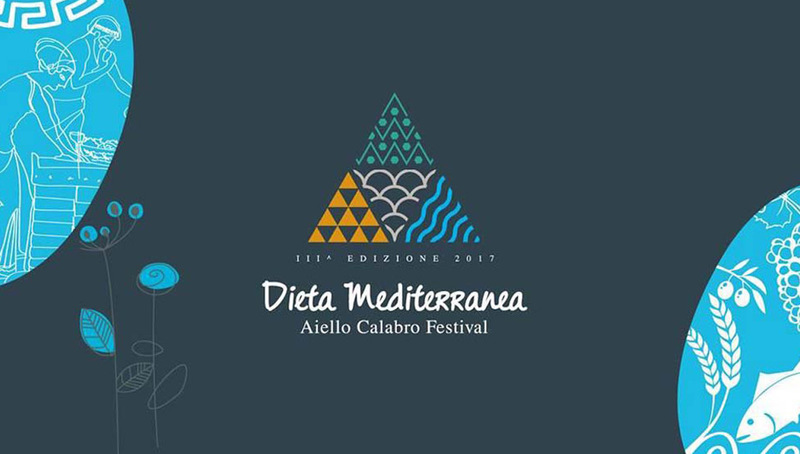 Mediterranean Diet Festival – Aiello Calabro Tuesday 8th and Thursday 9th August 2017 Antiche Vigne will be present at the Mediterranean Diet festival. A true festival of taste where our IGP wines combined with menus rich in quality and Mediterranean flavors will be waiting for you. 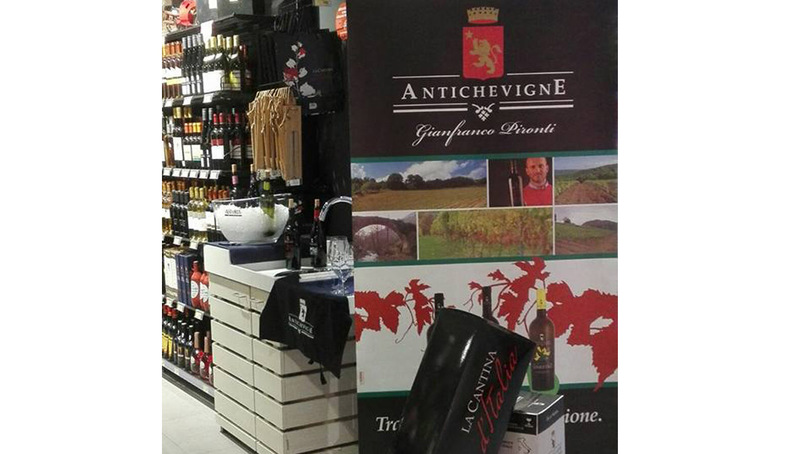 Cantine d’ Italia Conad – Acri On 4th August 2017, from 3:00 p.m. to 8:00 p.m, the wine cellars section of the Conad of Acri in Italy is now presenting to its customers Antiche Vigne wines. Enjoy the tasting! 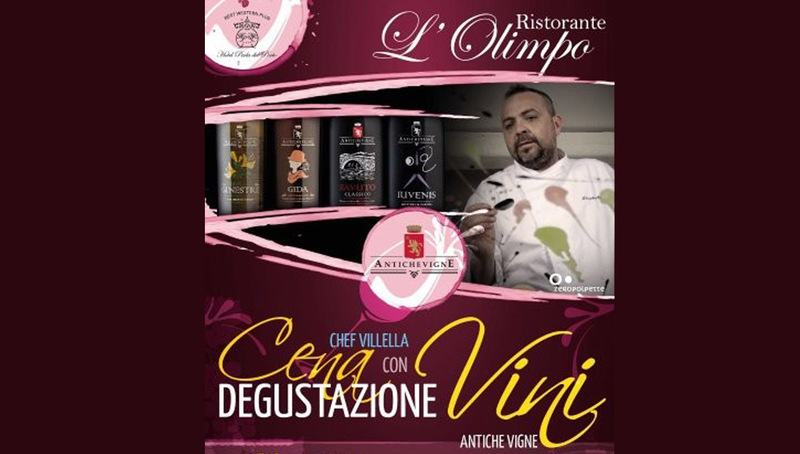 Antiche Vigne will be present at the expected event Only Wine Festival at Città di Castello from 28 to 29 of April. 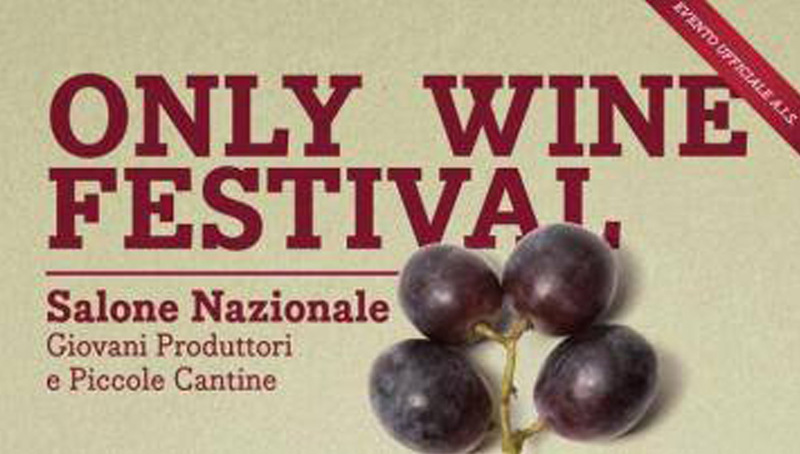 National exhibition exclusively reserved to the 100 best small Italian wine producers. A dedicate tasting session will wait for you. 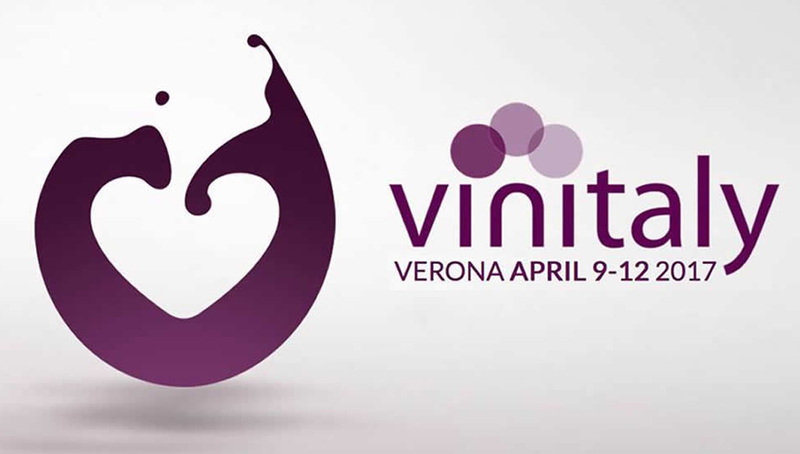 The edition of Vinitaly 2016 from 9th to 12th April in Verona will see us as protagonists at Stand B5-box11 Pavilion Calabria. 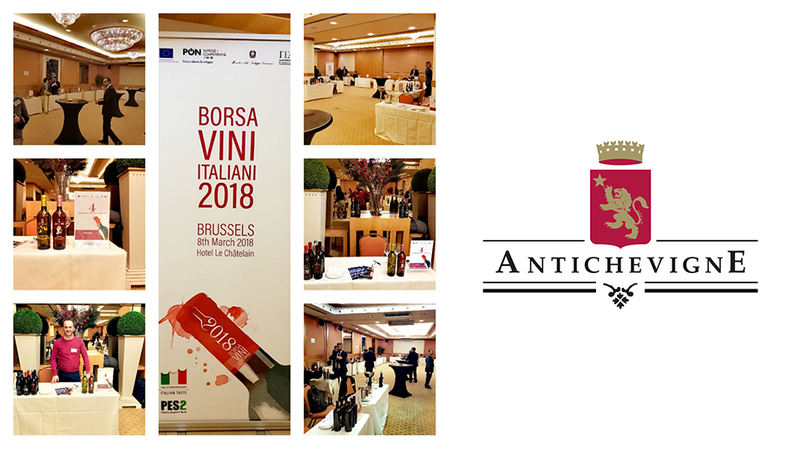 Contact us for more information annalisapironti@antichevigne.com We wait for you! 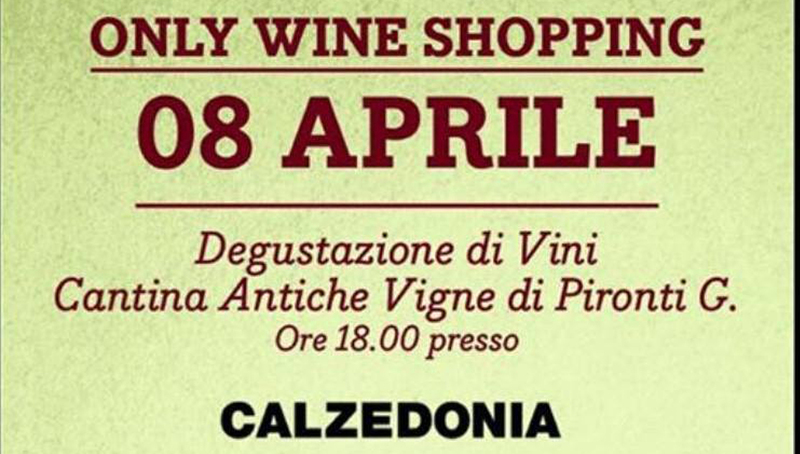 On Saturday 8th April, Antiche Vigne will be happy to join you during your shopping at Calzedonia point in Città di Castello with one of our best wine glasses. We wait for you. 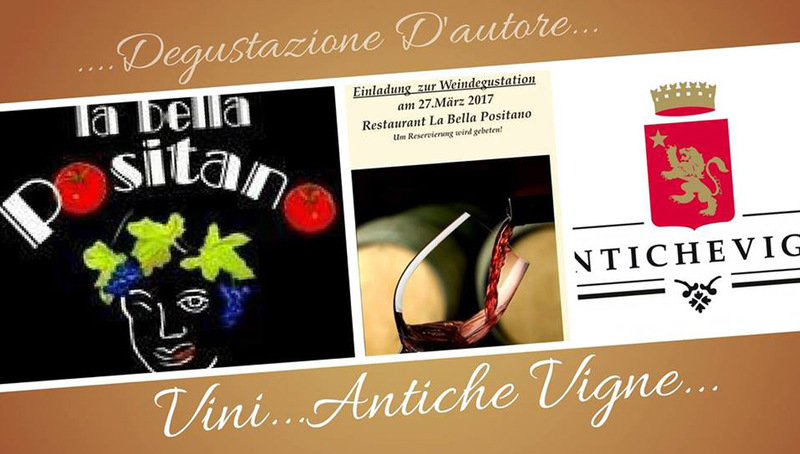 On Monday 27th March the restaurant pizzeria “La bella Positano” will present Antiche Vigne and its excellent DOC/P wines paired with a rich menu. We wait for you in the beautiful German town of Langenselbold.